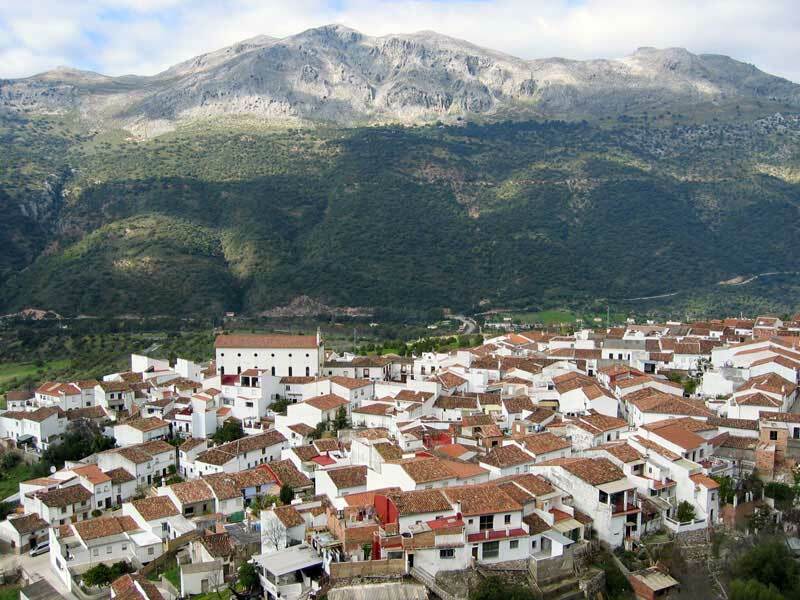 In the foothills of the Sierra de Libar, in a narrow corridor between these mountains and the Sierra del Oreganal which is traversed by River Guadiaro, the road which links Ronda with Cortes de la Frontera and the Ronda-Cadiz railway line, stands Jimera de Libar, divided into two separate but neighbouring parts: the village itself, which stands on the side of the mountain, and the La Estacion district, on the banks of the River Guadiaro. Though documentation from the municipal archives mention the village’s existence from the 17th century onwards, important archaeological remains dating back to the Bronze Age have been found, along with evidence of a Phoenician colony at a location known as El Tesoro, some 4 kilometres from the village. The only remaining relic of the Arabic era is the church tower, originally part of the minaret of the former mosque; in those times the village was known as Inz Almaraz, which was changed to Ximera de Libar following the Christian conquest. Jimera de Libar was the main village in the earldom created by Charles II in 1684. An important event in the village’s history took place in 1810, during the War of Independence, when the guerrilla Jose de Aguilar led some 250 men from Montejaque, Jimera de Libar, Cortes de la Frontera, Benaojan and Atajate to victory against 600 French foot soldiers and 90 cavalry.